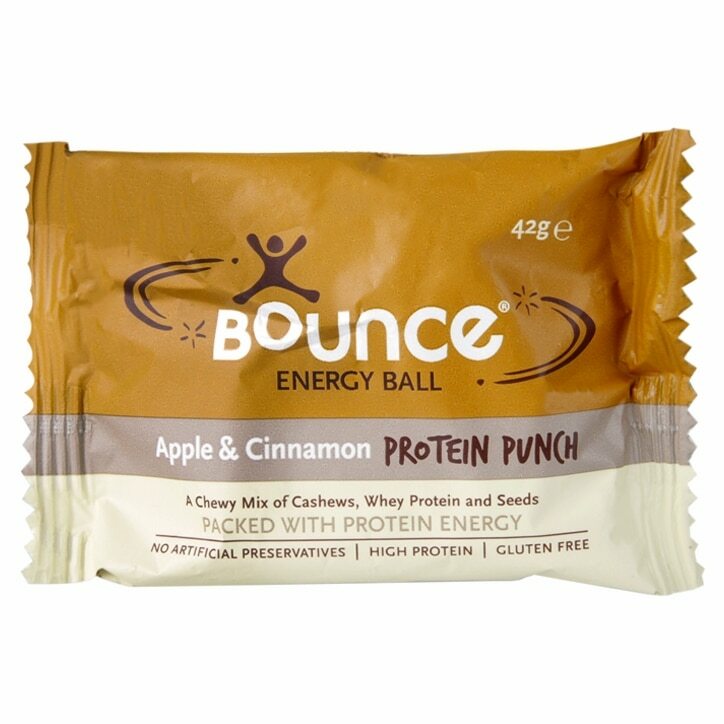 Bounce Apple & Cinnamon Protein Ball is rated 4.5 out of 5 by 8. Rated 5 out of 5 by Shaunw68 from Tasty balls of deliciousness Taste like apple and cinnamon, covered in nuts and sweet enough to beat any craving and give you a protein hit. Pricy! Rated 5 out of 5 by Danielle005 from Delicious healthy sweet treat If you enjoy apple tart, this flavour is for you! Very mild after taste of whey protein but otherwise a delicious sweet treat that's good for you. Nice flavours of cinnamon, raisin and apple. Rated 5 out of 5 by Jmcsnowball from Yum I thought this snack was a bit expensive but it is really tasty and filling so I think they are worth the price. This flavour is my favourite, I had it for breakfast when I was in a rush and it filled me up till lunch. Rated 5 out of 5 by amezzjd from Best flavour! The Apple & Cinnamon bounce ball has to be my favourite flavour. Although only small, they are really filling and have a fantastic flavour! Only wish they were cheaper!